Lake Ol’ Bolossat, an Important Bird and Biodiversity Area, is now formally a protected area. This follows the recent gazettement of the lake as a Wetland Protected Area. The immediate former Cabinet Secretary for Environment and Natural Resources, Prof. Judi Wakhungu, made the announcement during this year’s World Wetlands Day on the shores of the lake in Nyandarua County. The Wildlife Conservation and Management (Protected Wetlands) Regulations of 2015 give the Cabinet Secretary powers to declare a wetland, through a notice in the Kenya Gazette, an important habitat or ecosystem for wildlife conservation upon the recommendation of the Kenya Wildlife Service in consultation with the National Land Commission. The gazette notice will make it clear whether Lake Ol’ Bolossat will be managed as a fully or partially protected wetland or will be subject to conservation by the local community. Following the declaration, National Lands Commission chairman Mohammed Swazuri, who was also in attendance, said all title deeds for the land stood dissolved. Swazuri noted that according to Sections 10, 11 and 12 of Lands Act 2012, the issuance of a gazette notice means the title deed of the land in question and any others prior to the notice ceases. Lake Ol’ Bolossat is the only lake in central Kenya. The lake forms the headwaters for the Ewaso Nyiro River, which supports the livelihoods of communities, livestock and wildlife in the dry Laikipia, Samburu, Isiolo and Garissa Counties. Despite its small size (43.3km2) the freshwater lake is known for its rich biodiversity that include hippos and over 300 bird species (both residents and migrants). 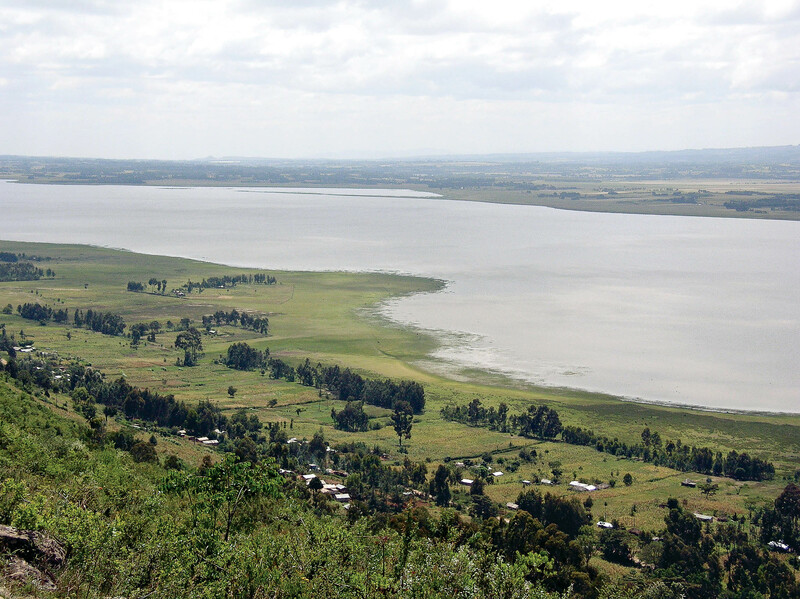 The lake lies within the central tourism circuit, and supplies Nyahururu town with water. The Ewaso Nyiro River supports the thriving wildlife tourism in Buffalo Springs, Shaba National Reserve, and Lorian swamp in Wajir, where the river goes underground, to re-emerge in Somalia where it joins the Jubba River. Over the years, Lake Ol’ Bolossat has been experiencing massive shrinking as a result of human activity. In the last one decade, the lake’s water surface area has gone from about 10,000 hectares to 3,000 hectares, escalating human-wildlife conflict as wild animals, particularly hippos, lose their habitat. As an unprotected wetland, the lake has been battling numerous challenges and threats including water abstraction, overgrazing, human encroachment, deforestation of catchment areas and siltation. It is hoped that the gazettement will provide the crucial legal framework to guide the conservation of the lake. Nature Kenya has been actively engaged in advocacy and awareness creation activities to help the lake attain legal protection and conservation.